I used large, wide-mouth Ball jars (quart size) and recycled mason jars. 2 jars have Purple Opal Basil and 2 have Genovese Basil. Place appropriate amount of water in a large pot and boil. While you wait, add the Basil and Lemons to each jar. 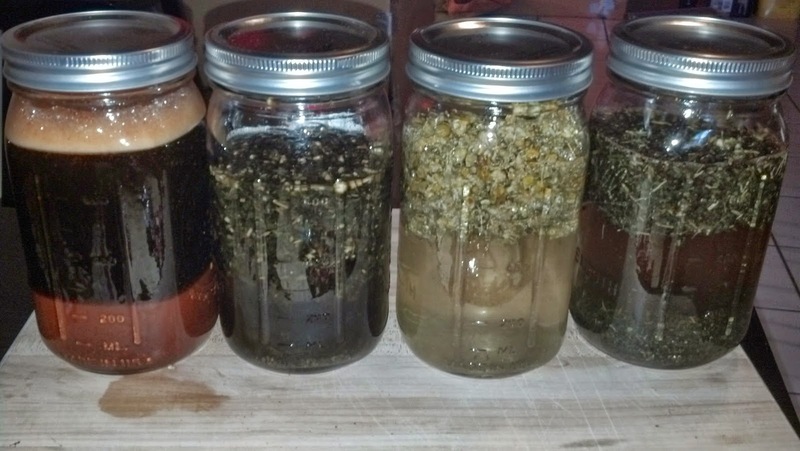 Once your water has boiled, pour into filled jars. Let the jars cool until you can handle them. Add raw honey or stevia to each jar. Screw the tops onto your jars and place in the fridge. Wait about an hour and shake up the jars then put back into the fridge. Lemonade should be ready in 6-12 hours depending on how strong you like it. Basil Lemonade can stay in the fridge up to 7 days. Extra basil can also be chopped and stored in Ice Cube trays with either water, Olive Oil or even Coconut Oil. This way you just pop out whatever you need when you're ready to use it. 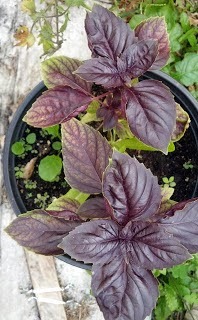 Have you ever grown PURPLE BASIL? It's Delicious! 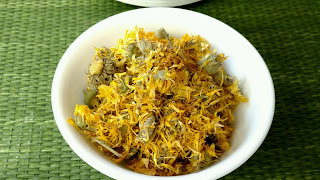 After sharing our DIY Calendula-Infused Oil we received so mach positive feedback and questions about Calendula. Mainly "What is it used for?" 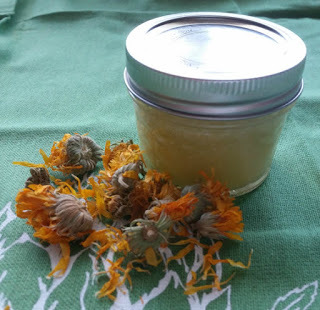 I use our homemade Calendula Oil for any sore spots, scratches and bruises, cracked heals and definitely for my "homesteader hands" after a long day in the garden. I have another batch I've made and added Lavender essential oil to the mix *after* I have removed from heat and before I pour into glass jars. It's amazing!!! 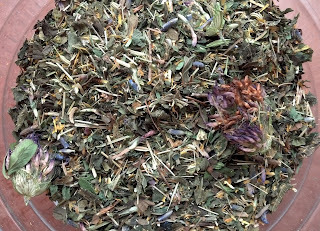 ABOUT CALENDULA From Herb Wisdom, "Calendula has been considered beneficial in reducing inflammation and promoting wound healing. 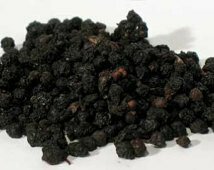 It has been used to treat a variety of skin diseases and has been seen effective in treatment of skin ulcerations, eczema, juvenile acne and dry phthiriasis. Improvement has been seen in as little as 3-4 days of treatment according to the Universitatea de Medicina si Farmacie." "Calendula cream is good for acne and nappy rash. 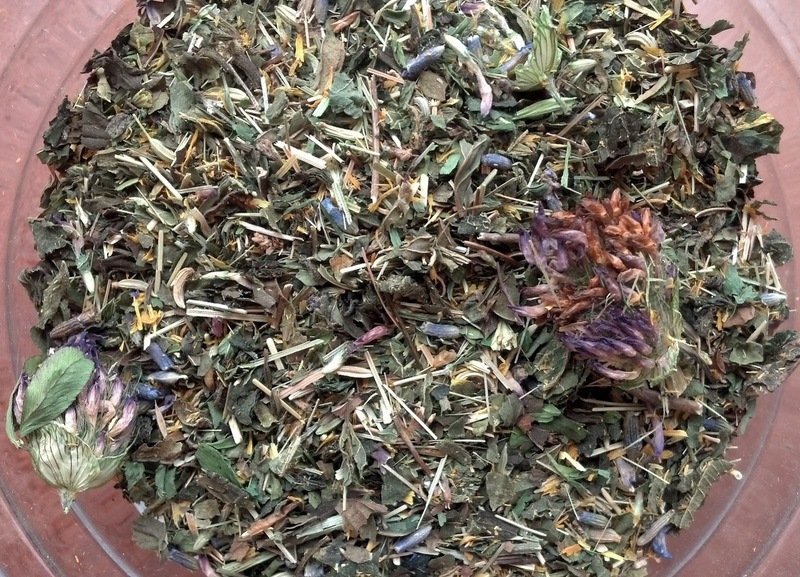 An infusion is good for digestion and relieves colitis and symptoms of menopause. As an anti-fungal agent, it can be used to treat athlete's foot, ringworm, and candida. 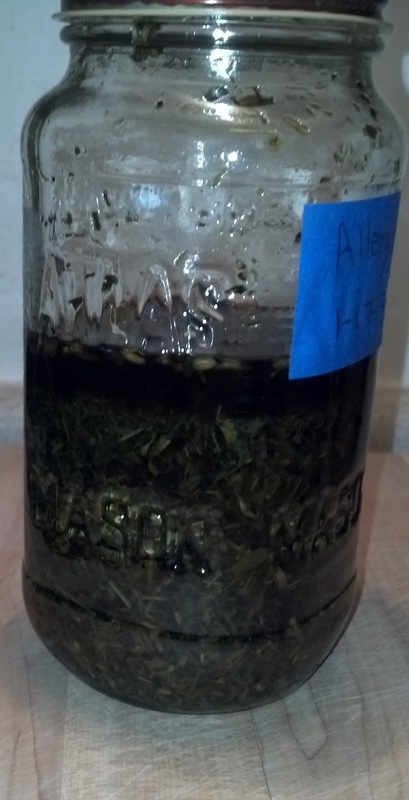 The tincture applied neat to cold sores encourages healing. Calendula contains chemicals, which have been shown in animal studies to speed up wound-healing by several actions that include increasing blood flow to the affected area and promoting the production of collagen proteins. 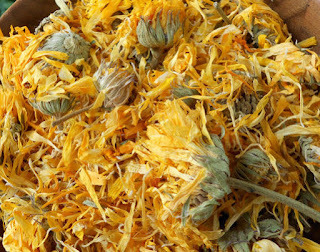 Calendula also possesses anti-septic and anti-inflammatory effects due to its flavonoid content. In mouthwashes and gargles, calendula soothes sore throat or mouth tissue; in solutions, it has been uses to treat hemorrhoids. Compresses of calendula blossoms are helpful for varicose veins. Results from recent animal and laboratory studies show that calendula may also have some anti-infective properties, particularly against fungal infections and against viruses." It's AMAZING the natural healing properties available in some of the plants we grow. Calendula is a beautiful flower I grow in my garden every year. The bees love it and now we know it is beneficial for healing! At Mary's Heirloom Seeds we offer 3 different options to get your Calendula adventure started! If you have additional questions, we are happy to help. We hope you have enjoyed another informative article from Mary's Heirloom Seeds! 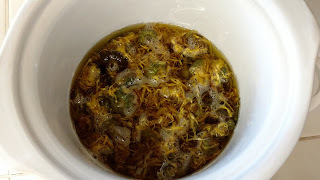 Last year I started making my own Calendula Infused Oil. At first i was a bit frustrated because I didn't see many specific instructions. You know, with real measurements. So I've created my own recipe that works for me. It's really easy to "tweak" this for your personal liking. 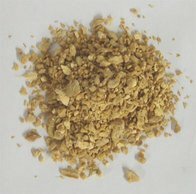 I use Organic candelila wax (or carnauba wax) in my recipe. This is a vegan wax. That being said, the wax is completely optional. Without the wax, the oil is not very firm but it's still amazing on your skin. **The wax is completely optional** If you want a firm salve, use bees wax or canauba wax. I use Candelila wax or carnauba on occasion. If you are just trying to make a smooth oil, feel free to omit the wax. 1 ounce of dried organic Calendula flowers is approximately 1 1/3 cups. We also just added organic carnauba wax to help you get started! 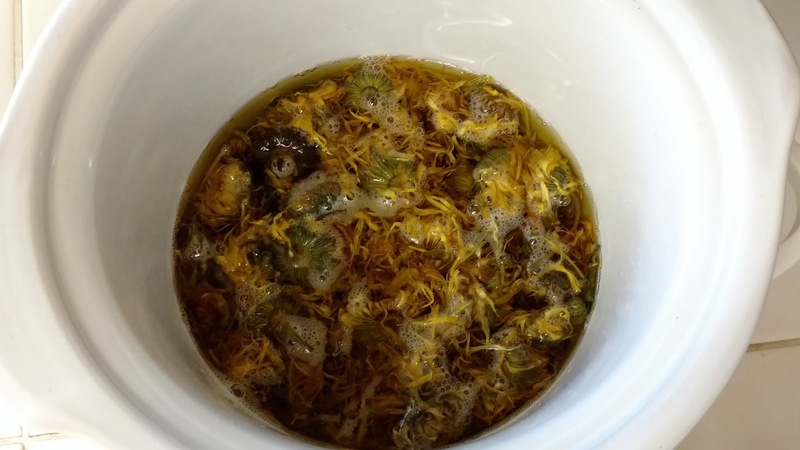 Add organic calendula, coconut oil and olive oil to your slow cooker. Cover and set on low for 6-8 hours. After 6-8 hours, strain out the oil from the flowers. Add the oil back to the slow cooker and stir in the candelila or carnauba wax. Stir occasionally and let mix for approx 20 minutes or until completely dissolved. Pour infused oil into a clean, glass container. I used several half-pint jars for future use. Label each jar with ingredients and date. Store in a cool, dry place and out of direct sunlight. Use on sore muscles. Great for "homesteader hands" after working out in the garden! Are you interested in purchasing a DIY kit? We thought it would make it simpler if we offered a DIY Calendula Oil Kit. All you need to add is the carrier oil! There's been quite a buzzzzz over our latest additions here at Mary's Heirloom Seeds. 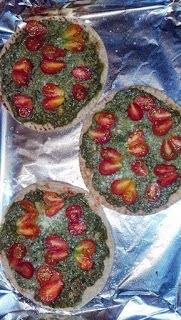 Last week we added Dill Bouquet, Wild Strawberry and Indian Strawberry. Indian Strawberry is considered a "mock strawberry" because it isn't actually a strawberry. From Eat The Weeds, "On first glance the P. indica looks like you have found yourself a brilliantly red, juicy strawberry. And that is probably the public relations problem P. indica has. It’s not what people expect so a lot of commentators dismiss it as worthless, but that’s a bit unfair. The fruit is 3.4% sugar, 1.5% protein and 1.6% ash. It has 6.3 mg of Vitamin C per 100 ml of juice. An eight-foot patch will produce about 5.5 ounces fruit annually, about the same as wild strawberries, and you can cook the leaves as a green. Some folks think the fruit has a hint of watermelon flavor. Others say it is sour so there may be some genetic diversity there, either in the plant or our taste buds. There is certainly no harm adding some of the plant to your wilderness stew." From Bellarmine University, "The entire plant is medicinal as an anticoagulant, antiseptic, depurative (purifier) and febrifuge (fever reducer). 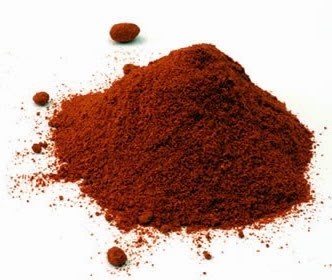 The herb can be used for stomatitis (an inflammation of the mucus lining), laryngitis, and acute tonsillitis. The fresh leaves can be crushed and applied externally as a medicinal poultice, a soft and moist mass. It is used in the treatment of boils and absesses, burns, weeping eczema, ringworm, snake and insect bites and traumatic injuries. A decoction of the leaves is medicinal and used in the treatment of swellings. An infusion, or liquid extract, of the flowers is used to activate the blood circulation. The Indian Strawberry can also cure skin diseases. In folklore it is said that in India it is to be used as an offering to the gods. The Wild Indian Strawberry is used extensively in China as a medicinal herb, and is being studied for its ability to stop the HIV virus and some forms of cancer from spreading through the body. " So how do we grow Indian Strawberry? Start Strawberry seeds for this rare ground cover plant that will get lots of attention! It is an Indian Strawberry plant with lovely yellow blooms, and it produces small red Strawberries all summer long on a creeping evergreen carpet. Indian Strawberry is well-suited for hanging over a wall or as a ground cover plant. Indian Strawberry ground cover is naturalized throughout the United States, and it is found growing in shady places in woods and grassy slopes. Indian Strawberry prefers a moist, but well-drained soil in a partially sunny position. Once Indian Strawberry plants are established, the matted root sends out runners to set new plants. 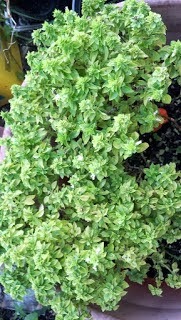 Indian Strawberry leaves are light green and finely haired. Indian Strawberry flowers are small, yellow, and are 5 petaled. They first appear in April and will bloom throughout the summer until fall. The fruit is small, about 1/2 inch round. It is edible, but many say the taste is not noteworthy. Birds, however, love the red fruit. Another common name for this variety is Mock Strawberry ground cover. For most of the US: Sow the Strawberry seeds from January to April indoors. Use quality seed starter mix, and small pots or starter trays. Sow the Wild Strawberry ground cover seeds on the surface and press the seed into the mix. Keep the soil damp but not wet, and seal the starter tray or pots inside a plastic bag until after germination. When the Strawberry seedlings are large enough to handle, transplant them into 3 inch pots, and grow them on in cooler conditions until large enough to plant outdoors. After all danger of frost has passed, harden the young Wild Strawberry plants over a period of 7 - 10 days before planting outdoors in their permanent location.